Brittany Bikers is a loosely organized (i.e. mostly disorganized) collection of friends that are interested in motorcycling. 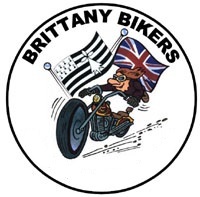 We are mainly British and based in the Brittany area of France but anybody is welcome to join. There are no membership requirements or fees – you become a member by simply signing up for the board. 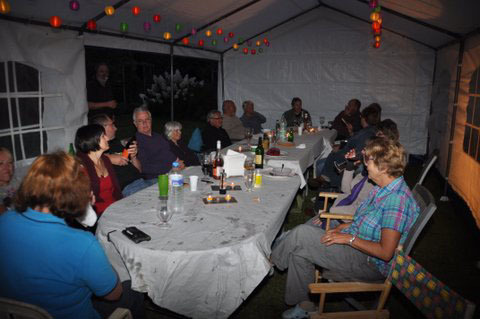 Over the year we organize several events. 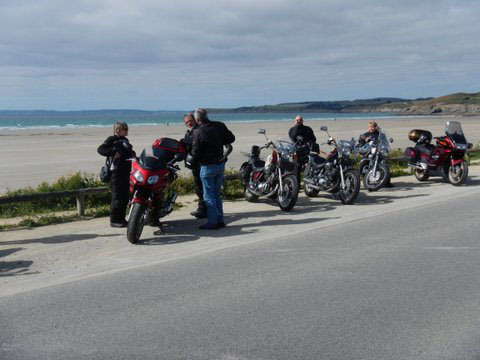 There are ride outs (both formally organized and spur of the moment), a weekend “treasure hunt” (known as the Tour of…) where we book a hotel and supply a list of points to be found and photographed for each day, a camping weekend or two and a (more or less) monthly lunch. 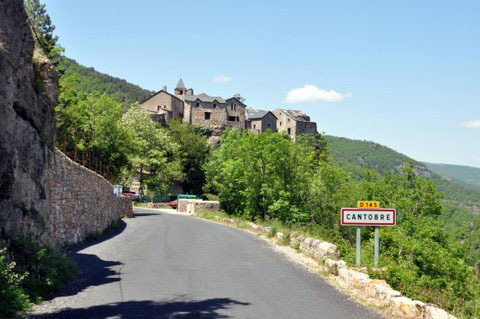 Past “Tour of” events have been in the Dordogne, the Tarn, etc. 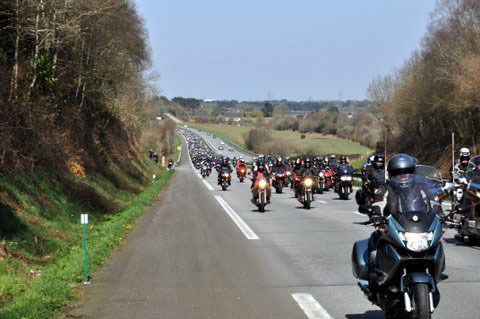 This year’s event will be in the Loire. 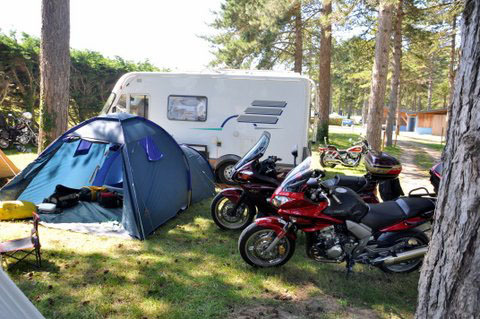 The camping weekends tend to be nearer to home and are generally in Brittany. In addition to these now traditional events, any member is free to suggest any other event. If it appeals to the other members, you could be starting a new tradition! We are a small organization with a minimal amount of structure. The success (or lack of success) of the club depends on its members. If you think something needs doing, don’t wait for somebody else to do it – jump in and have a go! Any member is free to suggest anything at any time. 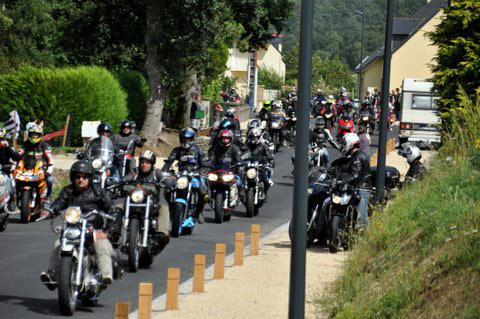 We have members with a wide range of machines, from 125s to liter+, in touring, sport and cruiser styles. There is also a strong contingent of off-road riders. There is only one rule for the board: Be nice! A certain amount of Mickey-taking and leg-pulling is acceptable and even expected (this is a motorcycle club after all) but outright rudeness will result in the deletion of posts and the possible banning of members. In particular, criticizing another member’s spelling or grammar is not acceptable. We come from a wide range of backgrounds and not everybody has the same experience of writing or typing but we all have something to contribute. Spam posts are deleted immediately and their posters are blocked. We do require registration before you can see the forum. This is because members post details of when they will be away for our events etc. In future, if the members so wish, some sections may be made visible to guests but this is not currently the case. The registration process is as simple and non-invasive as we can make it – the only thing we absolutely require is a valid e-mail address. We will never pass on your details in any way without your prior approval and we will only use the e-mail address for club business. If you register and then feel that the club is not for you, feel free to drop me a private message and I will gladly delete your account without question. Our members have made a total of 16,219 posts in 2,009 threads. We currently have 259 members registered.